Oakland residents will soon be receiving early warnings of earthquakes through their mobile devices. Pete Suratos reports. Oakland residents will soon be receiving early warnings of earthquakes through their mobile devices. The California Offices of Emergency Service on Wednesday tested its first ShakeAlert − a system built for California, Oregon and Washington that detects an earthquake − by sending a Wireless Emergency Alert to a 60-square-foot region in Downtown Oakland. 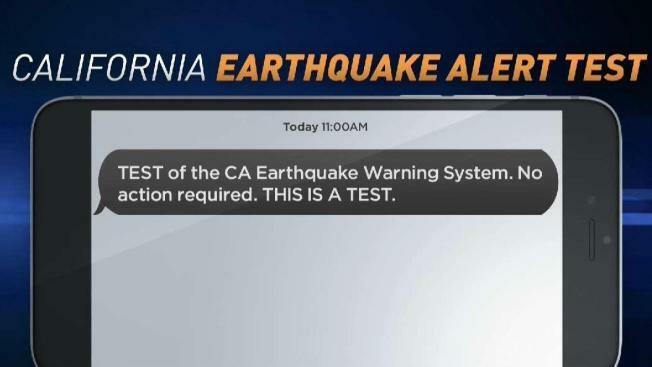 The message, similar to what people get for an AMBER Alert, read, "TEST of the CA Earthquake Warning System. No action required. 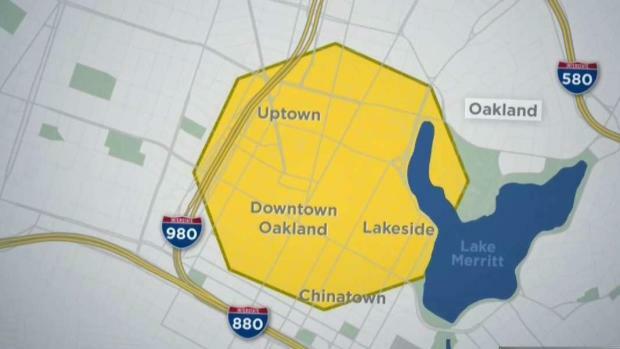 THIS IS A TEST," was sent out to around 40,000 Oakland residents at 11 a.m. It is not clear how many people actually received the message. ShakeAlert, designed to detect an earthquake that's occurring, quickly analyzes the data and sends out alerts that may give warnings of seconds to tens of seconds before strong shaking arrives at locations away from the epicenter. Oakland residents will soon be receiving early warnings of earthquakes through their mobile devices. Scott Budman reports. Those few seconds is enough time to scramble for protection, slow trains, halt industrial processes, trigger back-up power generators and pause surgeries at hospitals, officials said. Emergency officials have asked residents to participate and give feedback to see how fast the alerts can be transmitted to cell phones. "ShakeAlerts are more time sensitive than other WEA alerts and there is not sufficient data about how long it takes for an alert to be transmitted to a cell phone through WEA," Cal EOS said in a statement. Click to see how you can participate. Officials also said they are developing a sound that will let people know that it's an earthquake warning for the future.